Despite it being a rainy and rather windy day the team was present to support its partner Akrapovic once again at the Scuderia S7 Trackday. Akrapovic presented its fine Porsche 911 GT3 exhaust system alongside a large variety of informational brochures in the tent. Where guests were also provided with a lounge area in which they could sit comfortably and study the material or simply just admire the beautiful systems. A presentation of end tips was presented in the Devils Dinner for the guests to gaze upon whilst enjoying a cup of coffee. Despite the weather conditions it was a enjoyable day for all both on and off the track. Parallel to the marketing conducted at the Scuderia S7 Trackday the team also supported Akrapovic with its promotional event hosted at RSR in Nürburg. Where the team setup a tent that housed the beautiful BMW M2 fitted with an Akrapovic exhaust system for a live show an tell. Additionally the team helped provide the meeting room for the guests with a little bit of an extra flair but setting it up with a variety of display exhaust systems and a range of informational material for the guests to acquaint themselves with. Overall a very enjoyable day with plenty of satisfied guests. 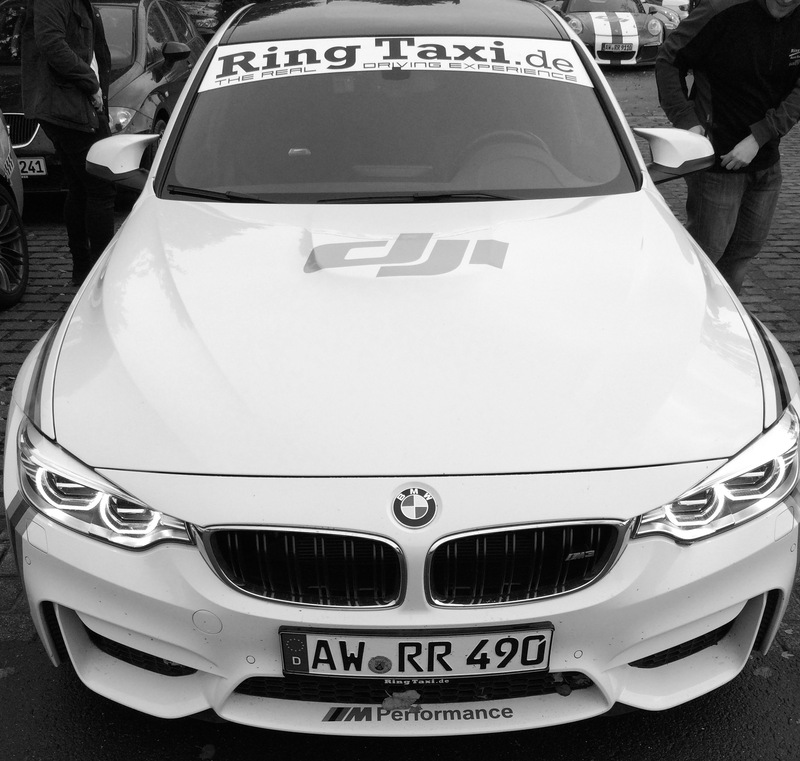 As the BMW Driving Experience returned for their last event at the Nordschleife our team made sure to be present and to provide the required support. 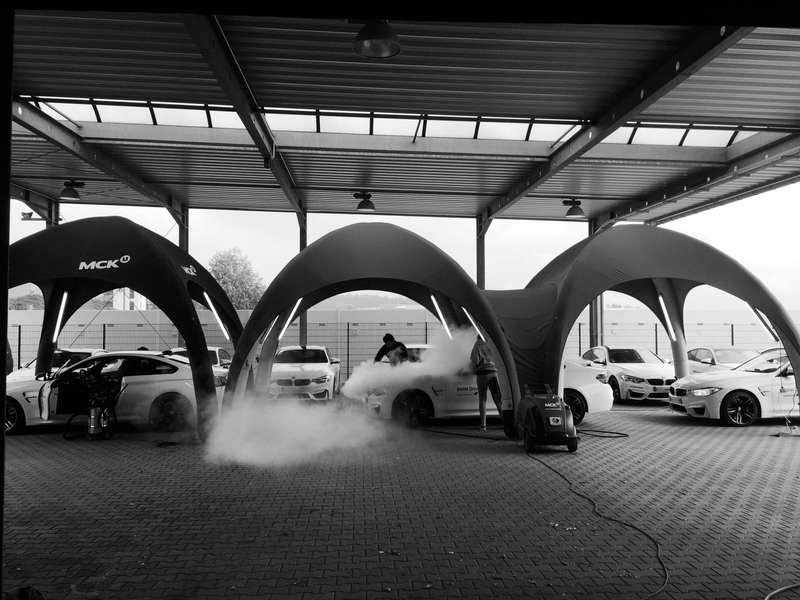 The team did so in preparing the cars ahead of the driving event to ensure that the guests would step into a clean and fresh car to fully enjoy the experience. Also in between the driving days the team ensured that the cars will fully cleaned after each day of driving. Even those cars with calcareous spots from the wet training were no challenge for the team and looked as good as new once they left the cleaning station. We were thrilled to be able to support the BMW Driving Experience throughout their entire season at the Nürburg and we can not wait to welcome them back after the winter break. The seventh race of the VLN series saw the MCK team supporting Zakspeed in their race endeavors and provided hospitality for the team members and their guests allowing the team to focus on the weekend ahead. Our team ensured that weather the team was in the Lounge or the Pit they would be able to find the comfort and support that they were looking for. 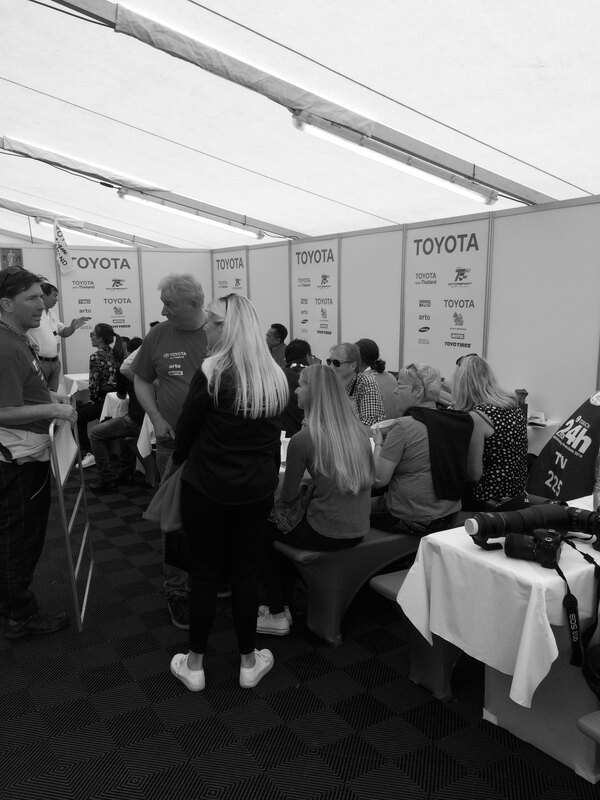 The team even setup a changing room in the Lounge to provide more privacy for the drivers, whilst the guests were cared for with hot and cold beverages as well as any other service that they required. End of September saw the BMW Driving Experience returning to the Nordschleife to host another round of customer driving days. This meant for us that we were present to ensure that the cars were looking their best for each of these days. Whether Mini Coopers or BMW M4´s the team tackled the challenge and was able to present each of them cleanly each morning of the event days. Whether the cars were cleaned at the Test Center or in the Paddock the cars were always clean and highly presentable. The team once again deployed to support its partner Akrapovic at the GetSpeed Trackday at the Nordschleife. 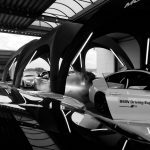 With the setup of its tent the team presented the newest Porsche 911 GT3 exhaust system among others alongside with other informational material for the guests to have the opportunity to explore the variety of systems offered by Akrapovic. The tent provided a nice retreat area for the guests to be informed and we saw many smiling guests that day. It was a great day for the team. As the Schnelle Schwaben hosted their Trackday at the Hockemheimring our team was ready to be present and to represent and support our partner Akrapovic. The team set up a professional and highly presentable promotional area. With the help of the lounge allowing guests to have a nice sitting area in which they could read the newest brochures and materials. As well as have a chance to inspect the brand new Porsche 911 GT3 exhaust system that was present during the day. Overall it was a great day with plenty of participants and well visited tent. We started the month of September by supporting our partner Akrapovic at the Schnelle Schwaben Trackday at the Nordschleife. The tent housing the lounge made a nice retreat for those wanting to get out of the sun and wanting to explore and admire the various exhaust systems on display. The lounge made for a nice area for the guests to sit down and relax off track and ask any questions about the systems that they possible had. It was a nice day with many visits to the tent. End of August saw us happily welcoming back the Gazoo Racing Team Thailand to the Nürburgring. 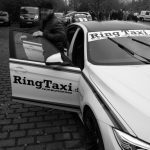 Not only was the team back to tackle the legendary Nordschleife but also to offer Taxi Laps on the Friday afternoon to the invited guests. Which naturally were also provided for by the MCK team. The team ensured that all members and guests felt comfortable and were able to enjoy the event to its fullest. From food to beverages to a warm and comfortable resting area everything that the heart could desire was present. Overall it was a great weekend for everyone who attended. It was great to see so many happy and entertained faces. And simply can not wait until GRTT comes back to the Nürburgring. For Homanit we were so lucky to plan a two day event based around the Nürburgring Nordschleife and in correlation with a Trackday. The first day began with everyone arriving at the hotel and a nice team dinner in the evening which involved a meet and greet with the instructors and a briefing for the next day. The second day was all about the track time where the participants partook in the Trackday. The team utilized its tents to setup a large lounge with couches and tables for all the participants to retreat and take a breath when not enjoying the thrilling track. The lounge also provided an area where the guests could store their helmets and enjoy a cold or warm beverage an a few snacks to restore their energy before heading out onto the track again. It were two great days that involved a lot of smiles and satisfied guests. It was a great event and are thrilled to have seen so many satisfied guests. Once again the steam team was called to action when the Porsche Driving Experience arrived at the Nürburgring for another driving event. 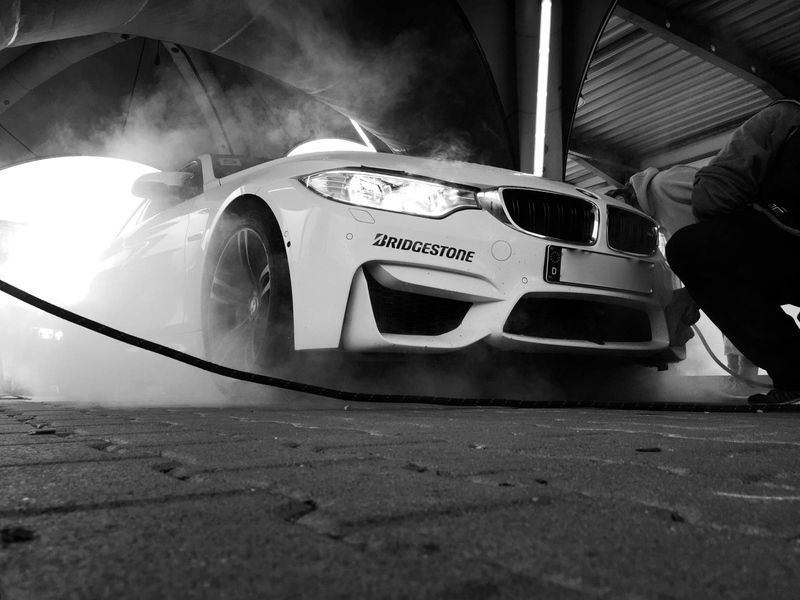 The team ensured that all of the cars were cleaned and presentable for the guests to fully enjoy their time on the Ring. In the evenings between the driving days the team deployed to bring the cars back into a great shape. 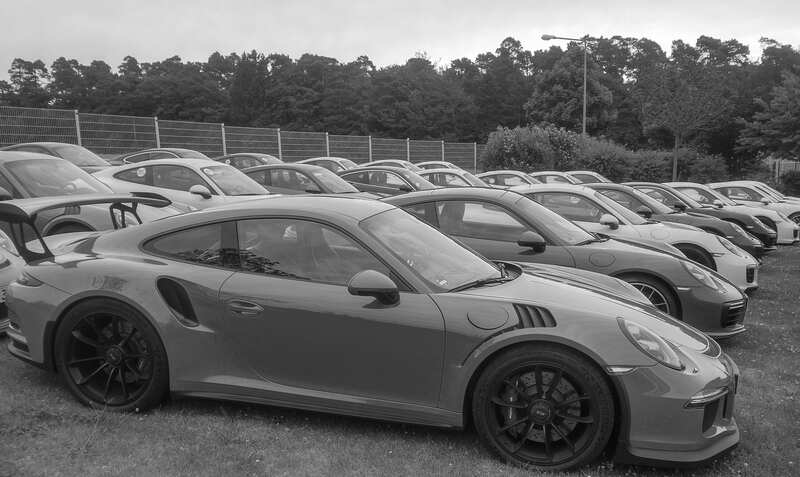 The team was able to prepare a variety of cars ranging from Turbos to Carrera GTS in short time to the fullest satisfaction of both the guests and Porsche. A great event for the guests, Porsche and us as well. We look forwards to welcoming back the Porsche Driving Experience soon. The team spent three great days with the Porsche Driving Experience in Spa! Once again steam team deployed to provide clean and presentable cars for the customers of Porsche. The team on the wide variety of cars from the GT3 RS, Macan or the Panamera E with flying colors. Wether it was cleaning 60 cars in one day or the darkness of the evening the team prevailed without any issues. We are already looking forwards to the next co-operation with the Porsche Driving Experience. June saw the Schnelle Schwaben return to the Nordschleife for the second time this year and we simply could not give up the opportunity to be there to support Akrapovic during this fantastic Trackday. Not only was the car park full of stunning cars but also the Akrapovic tent was visited frequently by those guests that were curious or intrigued by the stunning exhaust systems on display. Or perhaps it was the lounge area that offered a nice cool area away from the burning sun that they that attracted the guests. Nonetheless we were happy to have them all stop by and happily answered any and all of the questions. This was a very enjoyable day and we look forward to the next Trackday by the Schnelle Schwaben. The MCK team was pleased to be able to welcome back Motul Romania to the Nurburgring. The team had a great weekend planned for the members of Motul starting with some go-karting to get warmed up and a nice dinner afterwards to celebrate the things to come. The following day saw the guests accepting the challenge of the Nordschleife and driving on the track for an entire day of Tourist Drive. During the moments the guests weren’t on the track they spent some great moments at the Devils Dinner refueling themselves and sharing great stories. In the evening it was time to talk about the days events and share the memories generated during the day. It was a great weekend for all members involved and with many faces full of happiness. We can not wait to welcome back Motul Romania and to create new memories together. 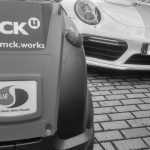 In June the MCK steam team had the pleasure to work with the Porsche Driving Experience and to aid them in providing clean cars for their customers to take out onto track. Although it being the first time for the team cleaning these types of cars it did an incredible job of cleaning 40 cars in one day. Ensuring that the cars were clean on the exterior as well the interior and ready for the guests. 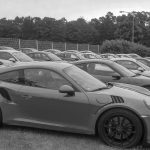 Whether a Turbo S or a SUV like the Macan GTS was cleaned the mobile steam wash made quick work of any residual flies and pick up on the windscreens and chassis of the cars. It was an incredible experience for the MCK steam team. 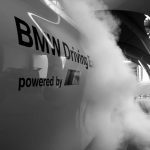 Only days after the 24 hour race the BMW Driving Experience returned to host another customer driving event at the Nordschleife which saw the MCK team returning to aid them in their efforts. The MCK team prepared 60 various vehicles for customers to take out onto the track prior to the start of the event. During the event the team utilized its mobile steam wash to ensure that the windscreens were fly free providing the guests with a clear view for the track as well as ensuring that the cars were clean and presentable each day. The MCK team did a stunning job with cleaning 60 windscreens in just a little over 1 hour. The 24H week also saw the BMW Driving Experience returning to the ‘Ring’. 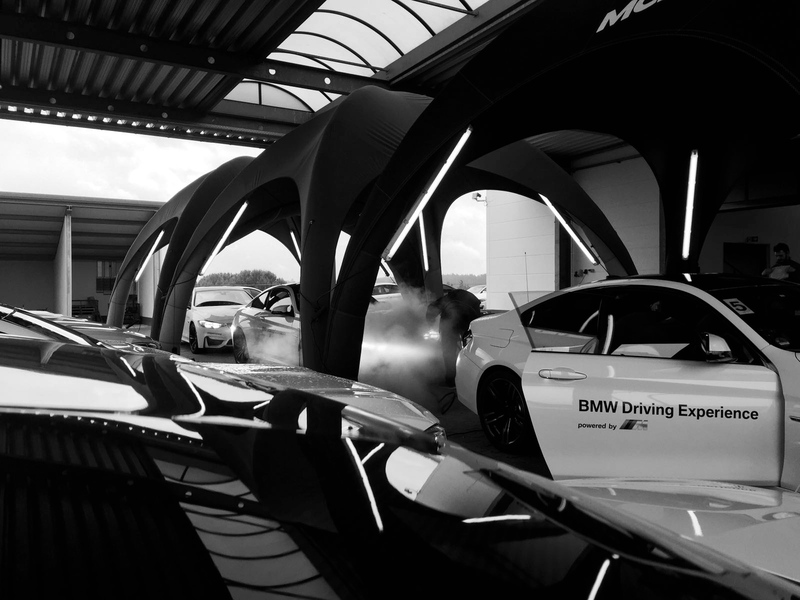 And in order to ensure that the guests of the Driving Experience had the best possible experience they could possibly have the MCK team was present with their mobile carwash to ensure that all cars were cleaned and prepared for the next day of driving. Using the mobile steam wash the team was able to clean all vehicles not only from the outside but also the entire interior as well as the rims to ensure a overall clean and presentable car was produced for the guests of the Driving Experience. Despite being a challenging time with the chalk residue from the water the team cleaned all the cars in an incredible manner. In May it was finally time to welcome back Toyota Gazoo Racing Team Thailand for legendary 24H race. During this though event the MCK team ensured that all members and guests where able to enjoy this event to the fullest whilst being well rested. Whether it was strengthening themselves with thai or german food, finding a quite corner to relax or to take in the event in either the team tent or the lounge every guest was thoroughly pleased. After a though, challenging and eventful 24 hours of racing both cars crossed the finish line on Sunday surviving the 24 hour challenge around the most legendary track in the world. It was a most incredible weekend for all members of Toyota Gazoo Racing Team Thailand and the MCK Team. The second Trackday to which the team deployed this season was the first Schnelle Schwaben Trackday at the Nordschleife. Once again the team set up the Akrapovic tent which housed a lounge area as well as various exhaust systems and informational materials. This provided the guests with a very relaxing and informative area in which they could sit down and enjoy their time off the track as well. We saw many happy faces that day. May saw the team deploying for its first Trackday at this season at the Nordschleife hosted by Scuderia S7. Despite being early on in the year it was a nice day to hold a Trackday on which saw many guests participating not only in the Trackday but also frequenting the Akrapovic Tent setup by the team in support of our partner. Besides housing several beautiful exhaust systems that the guests could investigate it also housed a nice lounge area for them to sit down and relax for a short moment. All in all it was a great start to the Trackday season with plenty of visitors. April saw Toyota Gazoo Racing Team Thailand return to the legendary track in order to partake in the Qualification Race for the 24H Race. It was a great pleasure to welcome back the team and to support them in their endevours. The MCK team ensured that all guests were well taken care of in both the tent as well as the lounge providing the team with all their hearts desires of food and beverages, a calm area to relax in. The team did an incredible job and Toyota Gazoo Racing Team Thailand had an incredible run on the track finishing P2 in their class. We had an incredible weekend and it was a heartwarming pleasure to have the team back at the track. We already can not wait for the 24 Hour race to start. The Scania event days saw the MCK steam team working on the largest vehicles to date. The team prepared and maintained the cleanliness of the Scania Lorries throughout the event. Despite being a large vehicle this was no challenge for the team who had them sparkling clean in no time thanks to the mobile steam machine. This ensured that the Machines were cleaned to the fullest satisfaction of Scania and MCK. A great event and challenge this was for the MCK team. The second large Carwash event saw MCK supporting VW at the Offroad Experience for the new line of all-wheel drive cars. A fleet of Amarok’s, Caddy’s and T6 Rocktons were driven across muddy forest roads, steep elevations and water holes. The steam team then ensured that the vehicles were mud free and ready to use for the guests the next morning. Despite the cars having been covered in mud no traces were left to be seen once the team finished its work. The team was happy to take on this challenging cleaning and both the team and guests were very pleased with the presentation of the cars. It was an enjoyable experience for the MCK team as well as the guests testing the cars. With the start of the season the MCK Team successfully started the year 2017. The team prepared and maintained a fleet of SEAT Ateca’s for the guests of the Seat Snow Driving Experience with its mobile steam cleaning. Despite of of harsh winter conditions at -12°C the Team did not give in. The cars where prepared and maintained for the guests to enjoy the driving pleasures of snow. Everyone was thoroughly pleased with the quality provided by the Team in the harsh conditions. The Team enjoyed the days it spent in Austria and is already looking forwards to the next event with SEAT. 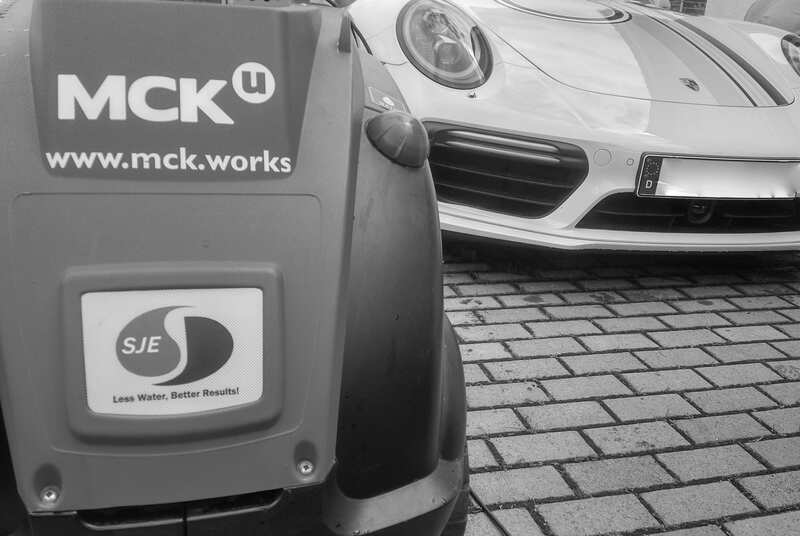 During the months of September and October the MCK Team proudly set the new carwash system to use for the cleaning of the BMW Driving Experience car fleet. The objective for the team was to clean and prepare a set amount of cars for customers to conduct their track experience in the following day. To achieve the task the MCK Team utilized a steam cleaning method which allowed the team clean the entire exterior, interior, windows as well as the rims. The areas in which the cars were cleaned changed which was no issue for the mobile cleaning system which allowed the Team to have the cars nicely cleaned and prepared no matter where. Overall it were spectacular days for the Team as well as the BMW Driving Experience with all cars exceeding expectations each and every day. 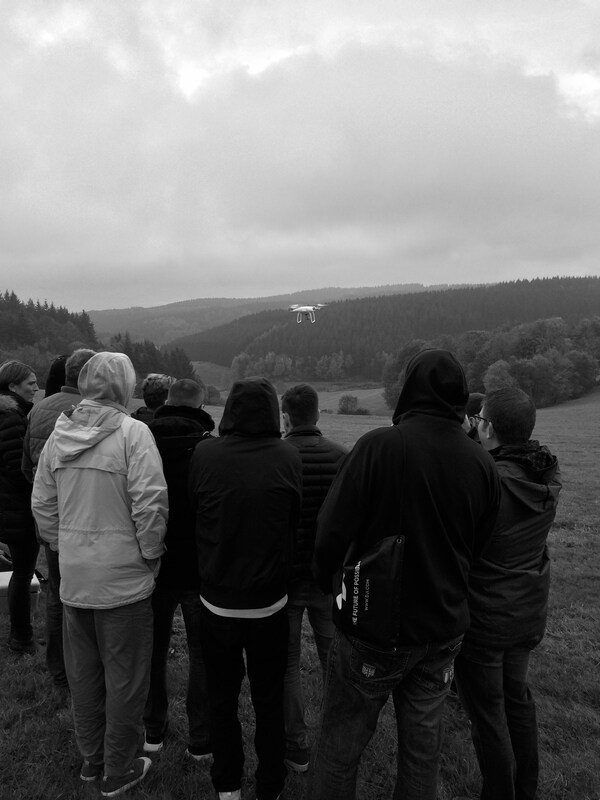 On the 28h of October DJI hosted its second and final drone workshop for selected winners of the DJI lottery of the 2016 season. Once again the guests were provided with an introduction into the world of drones and a little theory lesson. After which the participants had the opportunity to pilot two different drones outside. The Phantom 4 and the newly launched Mavic Pro were the two models for the days’ workshop. 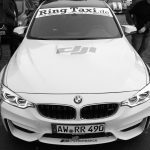 After the workshop the MCK team drove to the Nordschleife with the guests where each of them went out for a Taxi Lap in the BMW M3 Ring Taxi or the Porsche Turbo S. Overall it was a day of fun and smiling faces. On the 15th of October DJI hosted the first of its drone workshops where selected winners of the DJI lottery partook. 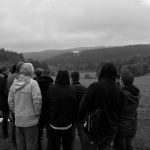 The guests where given an introduction into the world of drones and theory after which they had the opportunity to fly two different drones, the Phantom 4 and the newly launched Mavic Pro. After the workshop the MCK team drove to the Nordschleife with the guests. Here each of the guests went out on a Taxi Lap with the BMW M3 Ring Taxi or Porsche Turbo S. It was a greatly successful day for the participants and the MCK team with many smiling faces and happy guests. For the double Trackday at Spa in the 10th and 11th of October the MCK team was there to support our partner Race Navigator. A comfortable lounge area with furniture was setup for the customers to have a seat and relax and study the Race Navigator products. In the mean time the team ensured to provide the guests with warm and cold beverages during their stay in the lounge. It were two fun days for the MCK team and a large amount of satisfied customers. On the 29th and 30th of September Destination Nürburgring was back at the Nordschleife hosting a two day Trackday at the legendary track. This meant that the MCK team also was present to support our Partner Akrapovic. Two high-end exhaust systems were presented within the tent in which guests could take a breather from the exhausting work on track and become acquainted with the system and ask any and all questions that they had. These were two great days for the MCK team and our partner Akrapovic. In connection with the Blancpain Endurance Series at the Nürburgring the Seat Leon Eurocup also took place. Which meant that we were once again very pleased to welcome back Seat. 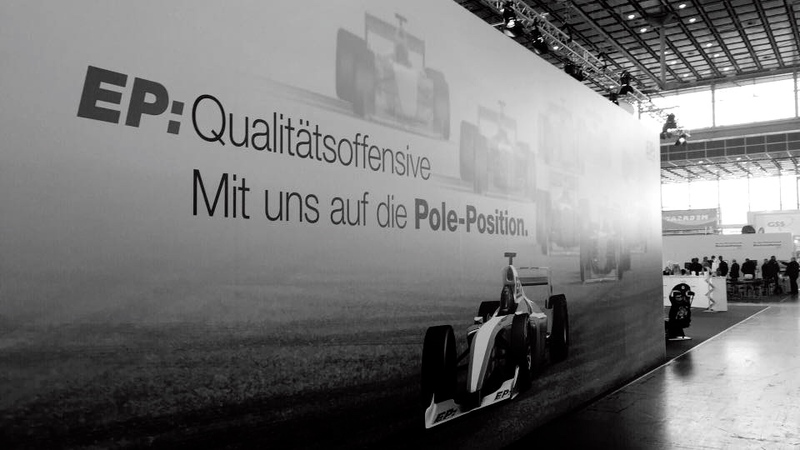 Our task was to undertake a driver safety training as well as an Eifel rally for selected Seat customers. On Friday the guests partook in the safety training during which they underwent a wet slalom, practiced car control on the centrifugal plate as well as a task to master the perfect cornering technique on a wet and dry line. On Saturday the day started early. The guests embarked onto a trip through the Eifel countryside with the aid of a road book. The task was to navigate to three stations at which a task was to be completed before being able to continue on the trip. The tasks included answering a quiz regarding the driver safety training as well as the turning and maneuvering within a tightly enclosed space. After an 80 km trip the finish line was located back at the Nurburgring. For all participants it were two successful days with many great impressions of the unique Eifel atmosphere and fun. On the 15th of September the Schnelle Schwaben host another Trackday at the Hockenheim racetrack and once again the MCK team was there to support our partners Akrapovic and Race Navigator. In the partner lounge three high-end exhaust systems and information material was presented to answer all questions that the participants had. Furthermore the lounge provided the guests with a relaxing and comfortable area to have a moment to relax and examine the products in detail. It was a great day judging by the many happy faces for the MCK team as well as our partners Akrapovic and Race Navigator. On the 14th September the Schnelle Schwaben hosted a Trackday for M-Forum community at the Hockenheim racetrack at which also the MCK team was present to represent and support its partners Akrapovic and Race Navigator. In the lounge that the team setup three high end exhaust systems were displayed along side a large variety of information material. The lounge provided a relaxed and comfortable area for the participants to inform themselves about the products provided and to have a seat and gather new energy. It was a great day with many content faces for the MCK team and our Partners Akrapovic and Race Navigator. On the 6th September the second Scuderia S7 Trackday at the Nordschleife took place, which meant that the MCK Team was there to support its partners Akrapovic and Race Navigator once again. With the tents three high-end Akrapovic exhaust systems were displayed along side a variety of products from Race Navigator. In addition the tents housed a lounge that allowed for some relaxation whilst browsing the products offered by the partners. On the 3rd and 4th of September the MCK Team was present in Rottweil to support its partner Akrapovic at the Carsmeet Rottweil, where 1,600 Tuning cars had gathered. Within the constructed tent three high-end exhausts were presented along side a large variety of informational material. 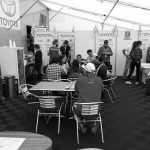 The tent also housed a comfortable lounge area for the guests to have a seat or a warm coffee whilst browsing through exhaust systems. Akrapovic also had a BMW M2 with an Akrapovic exhausts system on display so the guests could have a ‘live’ sound test of the offered system. Overall a great two days for the MCK Team and its partner Akrapovic with many happy guests. On the 1st of September the MCK team was present at Trackday at the Nordschleife hosted by the Schnelle Schwaben to represent its partners Akrapovic and Race Navigator. Within the tents a lounge area was prepared in which the guests could sit down and enjoy the three high-end exhausts systems displayed and browse through the large variety of informational material present. Furthermore the guests had the opportunity to talk to the partners and ask any questions regarding the products offered. All in all it was a great day for the MCK team and its partners. On the 25th of July the Schnelle Schwaben returned to the Nordschleife hosting their second Trackday of the season. Which meant that the MCK team was present to represent its partners Akrapovic and Race Navigators. Within the tents the guests had the opportunity to examine three high-end exhaust systems up close and browse through a variety of informational material. Furthermore the guests could have all their questions answered or simply take a moment and relax in the lounge within the tents. Overall it was a great day for the MCK team and its partners and also for the guests judging by their smiles. On the 16th of July the fifth race of the long distance races at the Nürburgring took place, which presented another opportunity in which the MCK team was able to provide its support for the Toyota Team Thailand. For this race the team setup a lounge within the tent to provide the team and drivers with an area to relax within a soothing atmosphere. This day also presented a highlight for 25-motorsport enthusiasts from Thailand. They were able to experience a round of the legendary track during the taxi laps and enjoy beverages and snacks provided within the tent. Together with the help of Leipert Motorsport the Taxi laps went smooth and were a highlight for the guests. And so did the race in which the team managed to secure a solid finish. All in all it was a greatly successful day for all parties and the MCK team very much looks forward to the next races with Toyota Team Thailand. On the 18th of June the MCK team join its partner Akrapovic in Heilbron at the BMW customer event. Within the tent a lounge was constructed and housed three high-end Akrapovic exhaust systems for the guests to browse. Furthermore the Akrapovic BMW M2 was displayed so that the guests had the chance to have a ‘live’ sound test of the exhaust system. In the lounge within the tent the guests were provided with snacks as well as warm and cold beverages whilst being able to inquire about the systems as much as their hearts desired. It was a great day for our partner Akrapovic and the MCK Team with many happy guests. Also this year we were happy to welcome back Seat one of the main sponsors of Rock am Ring. Where we organized a day of safety driving and instructions for selected guests at the safety-driving center in Nürburg. Once at the center the participants were able to improve their driving skills under simulated situations alongside the guidance of well-experienced Instructors. The guests underwent a wet slalom, aquaplaning as well as a wet & dry acceleration and breaking simulation. Throughout the day the guests were able to help themselves to refreshments as well a nice lunch on the terrace. Overall it was a great day for all of the participants and the MCK team. The legendary 24H –race at the Nürburgring took place on the 27th and 28th of May this year. Also we did partake in this extraordinary race event. 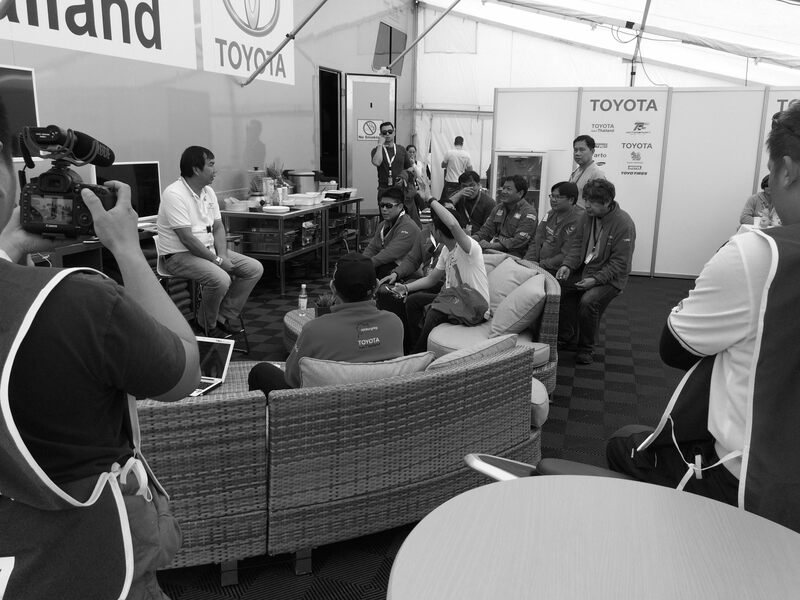 With the help of our tent we created a comfortable atmosphere for the drivers and team members of Toyota Team Thailand. Strengthened by home cooked food by two Thai cooks, whom travelled here for their support and aided by the professional support of Leipert Motorsport, the Toyota Team Thailand was able to have a great start into the race as well as successfully finish the race with a great result. Overall it was an incredible weekend for all participants and we are already looking forward to the 24h race 2017 with Toyota Team Thailand and MCK. 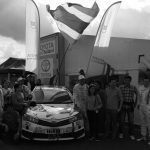 On the 20th May selected partners of Motul Lithuania came to the Nürburgring for a two-day weekend in the beautiful Eifel. The weekend started with some introduction laps of the Nordschleife in the Race Room at the boulevard where the guests simulated driving on the track. Afterwards it was time for the real thing. The guests went out onto the Nordschleife themselves to take in the breathtaking track. The day came to an end with a group dinner after the track closed for the day. The following day the group took a Hot Rod Tour of the beautiful Eifel. It was a great weekend for both the guests who had an incredible amount of fun as well as the MCK team. Towards the end of April the second race of the long distance races at the Nürburgring took place which meant that the MCK team gladly welcomed back Toyota Team Thailand and supported the drivers and team members during their efforts in the race. Within the lounge located in the tent the drivers and team members could find an area to relax and gather their energy or enjoy both warm and cold beverages as well as snacks and warm meals throughout the day. With the support of Leipert Motorsport aiding the team in their efforts around the car it was a great day for all participants. The second Trackday of the season was hosted by Scuderia S7 on the 26th of April and of course the MCK Team was there to support our partners Akrapovic and Race Navigator. Within the tents an inviting lounge was prepared along with two high-end exhaust systems on display alongside a large variety of information material of the partners products. The tents were inviting to the guests and a great get away from the cold and snow that was around on that day. It was a great day for the MCK Team during which we were able to answer many questions about the products displayed. On the 22nd of April the Schnelle Schwaben hosted their first Trackday of the season at the Nordschleife, which meant that the MCK Team also was present to represent our partners; Akrapovic and Race Navigator. Although it was a cold start to the season everyone was fired up. The tents with the lounge also helped the visiting guests to stay warm whilst informing themselves about the partner’s products and browsing the two high-end exhausts systems displayed. It was a great day for the guests as well as the MCK team and an overall superb atmosphere all around. On the 16th and 17th of April the Qualification for the 24hour race took place and of course the MCK Team was present to support Toyota Team Thailand throughout this weekend. Within the team tent the drivers and team were able to relax in the lounge and gather their strength through beverages, snacks and warm meals. Leipert Motorsport was also present to support the team and their cars for the runs ahead. Overall it were two successful days and the team already looked forwards to the 24hour race in a month’s time. The first run of the long distance races Nürburgring took place on the 2nd of April. 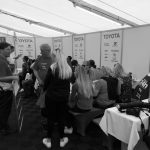 Which meant that the MCK team was present to provide hospitality for the drivers of Toyota Team Thailand and the team from Leipert Motorsport. Within the paddock a small lounge was constructed for the team to relax and take a breather. The team also ensured the provision of not only warm and cold beverages but also food for the entire team. It was a great day and a good start to the 2016-racing season. The first event of the season saw the MCK team cooperation with EP Dusseldorf at the fair in Dusseldorf. 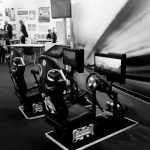 The team travelled to the fair with 2 Race Room race simulators which where utilized for a competition at the EP stand during the fair. 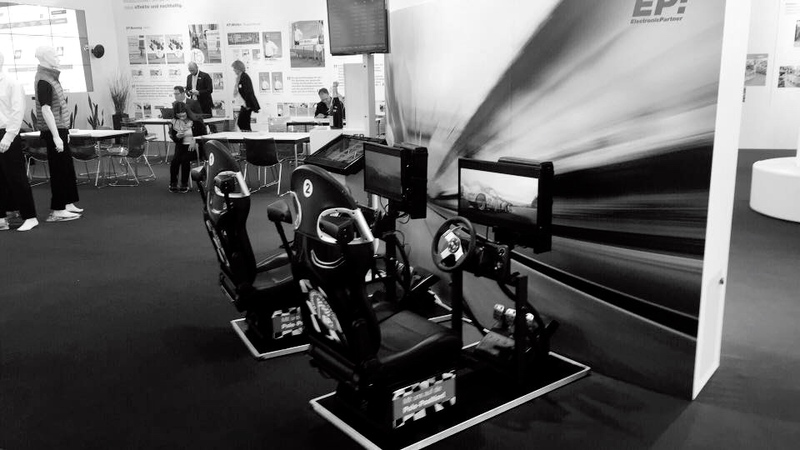 Throughout the two day event the team helped customers to become acquainted with the simulators and provided any assistance that was required. All in all it was a great event with many happy guests and a very busy competition. On the 7th of September 2015 we were staying again with the Schnelle Schwaben and support our partners Race Navigator and Akrapovic. We provided for a professional appearance for both partners. We placed two high-quality Akrapovic exhaust systems and significant info material for Akrapovic and some projectors for Race Navigator near to target group. Also we took care about the hospitality. We arranged a comfortable place for the participants and supplied them with warm and cold drinks and little snacks. A successful day with many contented faces for the MCK team and our partners Race Navigator and Akrapovic. The 28th of August 2015 was quite a special day for us. For our long-time partners Rent4Ring and Race Navigator we had organised their first own Trackday. We performed the planning work and were responsible for all organizational duties. Among the rest, we looks after the track rent, the application planning and the procurement of adequate start numbers and entrance fillets. Also we put to the participants with our tents a place for staying and supplied them with warm and cold drink as well as with small lusciousness. The day was a great success for all parties. We could be glad about a free form problems expiry and all participants had a lot of fun. A great event with great cars and many nice impressions. The fifth run of the long distance mastery Nürburgring took place on the first of August 2015. For us on the programme this day was to take care about Rent4Ring Racing and our friend “Kiki”. After the construction the day before and the last preparations on the racing day we visited the starting grid and looked at our new MCK sponsorship stickers on the Rent4Ring racer. During the race we took care about the drivers and the team members. Unfortunately, the team had to quit the race when “Kiki” was on the steering wheel after just 2,5 hours because of a technical defect. Nevertheless, it was from MCK-view a successful weekend because all of our partners were contently with our service. From the 29th to the 30th of July 2015 the Schnelle Schwaben organised her Trackday at the Nuerburgring Nordschleife. We were also there to support our partners Race Navigator and Akrapovic. Among the rest we displayed two noble Akrapovic exhaust systems. After the construction we supplied the participants with cold and warm drinks and small snacks. Later the day also the acquisition of racing licences took place in our tents. On the 26th of July 2015 the tuning session – the brand-open tuning event took place in Bad Ems. Together with our friends of “ Devil’s Diner “ we came along on the way to this event. There come we created a place for staying and to sniff racing-air for the visitors with our tents. Among the rest, equipped with two racing simulators by RaceRoom and a real racecar, a BMW M435is which is used in the VLN, our tents were a meeting place for racing sport friends. At the end of July BitAuto visited us. 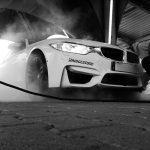 Besides, on the exclusively rented Nordschleife different cars were put through the paces under the instructions of professional instructors and race drivers. Among the rest, these were the new Mercedes AMG GT S, a Porsche 911 Carrera GTS or a Lotus Exige S V6. Our friends from the “Devil’s Diner” supported us with the catering. Our tents were available for relaxation or for short refreshments. The day ended with professional photo admissions on the Nordschleife. A beautiful day for the MCK-team and all partners. On the weekend from the 10th to the 12th of July 2015 a part of our team was in Berlin for the Clinton Family Fashion Days. In the luggage we had four racing simulators of RaceRoom. So everybody had the possibility to prove his racing skills on the virtual Nürburgring Nordschleife and other known racing circuits. Everyone wanted to conquer the Pole Position. The quickest racer won a weekend at the Nürburgring with a taxi drive in an Opel Astra of the team Camp David. For our team it was a great weekend in the capital of Germany. The fourth run of the long distance mastery Nürburgring took place on the 4th of July 2015. A true heat battle approached at temperatures of more than 40 degrees Celsius. Again we took care about the Toyota Team Thailand. With our tents we put to drivers and team members an optimum place for relaxing and a shady place. This day was a special highlight for 25 motorsport enthusiastic men and women from Thailand. 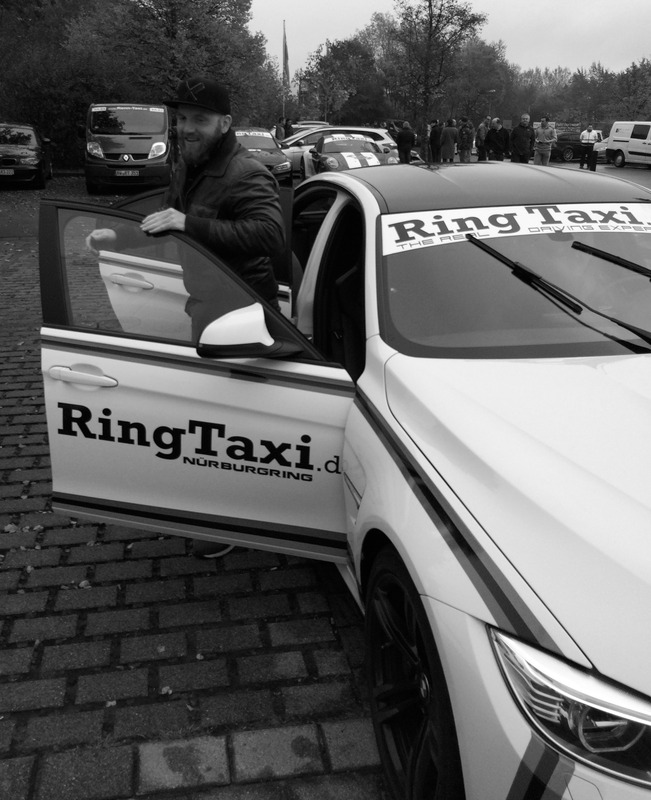 They experienced a round on the legendary Nürburgring Nordschleife in a racing taxi. 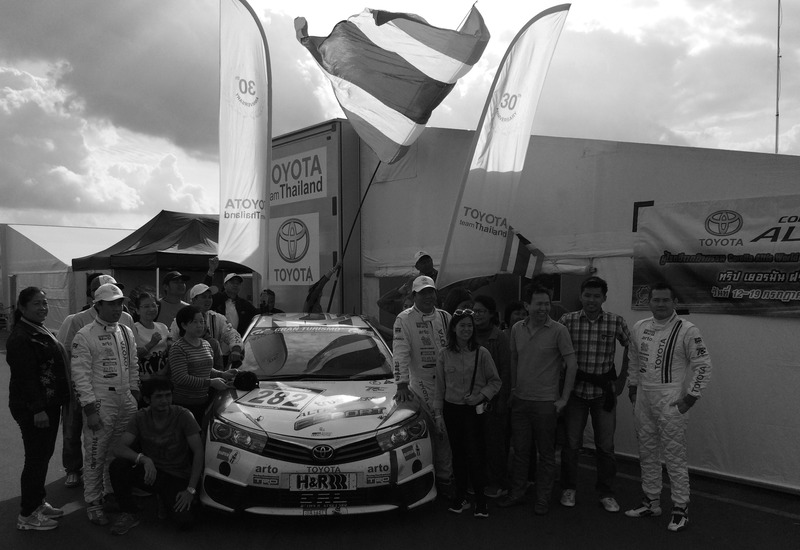 Also for the Toyota team Thailand it was a very successful weekend. They could manage the heat battle without an outage and they saw the chequered flag after 4 hours of racing. Vigorously they were supported again by Leipert Motorsport. All in all, it was a successful event for all partners. We are looking forward for the next races with the Toyota team Thailand. Within the scope of the GetSpeed Trackdays on the 26th of Juny 2015 on the Nürburgring Nordschleife we were also represented on the north loop entrance. For our costumers Race Navigator and Akrapovic we build up our tents and allowed them a professional appearance. We presented two titan exhaust systems from Akrapovic and other info materials about Akrapovic and Race Navigator. Interested participants of the trackday were supplied with warm and cold drinks and small snacks. Another great day for the MCK-team with many beautiful and impressive vehicles and interesting talk with the participants. 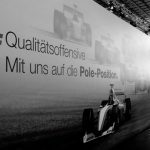 Within the scope of “Rock am Ring” we organised together with our costumer Seat, one of the main sponsors of the festival, a day in the safety driving center at the Nürburgring for selected costumers of Seat. Arrived at the safety driving centre, the guests could proof their driving skills under the instructions of experienced instructors and race drivers. In different scenarios they could show their man engine and learn a lot of important things in the matter of vehicle control. For refreshment we supplied the participants with cold drinks and snacks in our tents. These invited with a relaxed atmosphere for staying in the breaks. A great day for the whole MCK team and the participants of the safety driving training. The legendary 24 hours of the Nuerburgring took place this year from the 14th to the 17th of May. Our team was also a part of this motorsport event of the top class. 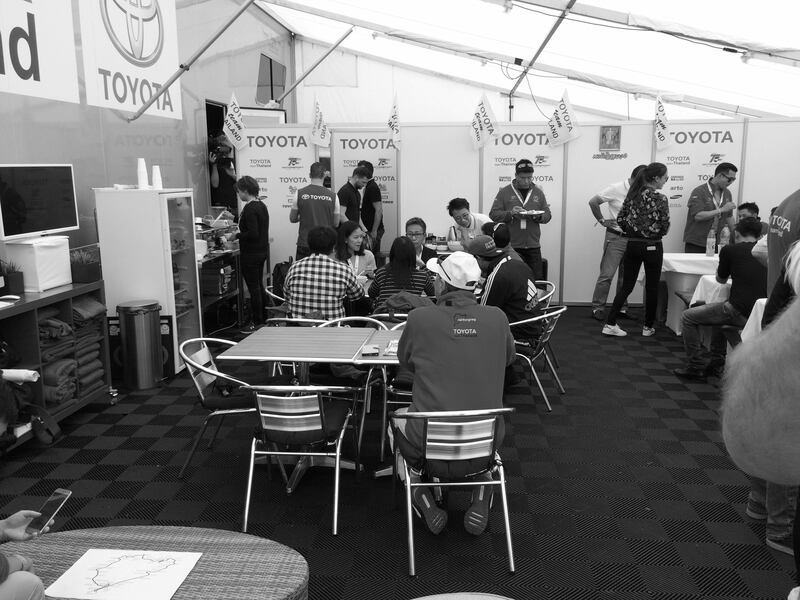 We provided with the help of our tents a good atmosphere and a place to stay for the drivers and team members of the Toyota Team Thailand. Strengthened by food of five Thai cooks and the professional support of Leipert motorsport the Toyota Team Thailand could pull up really and finish the race successfully. For all involved persons it was a great weekend and by now we are glad about the 24 hours next year with Toyota Team Thailand and MCK.